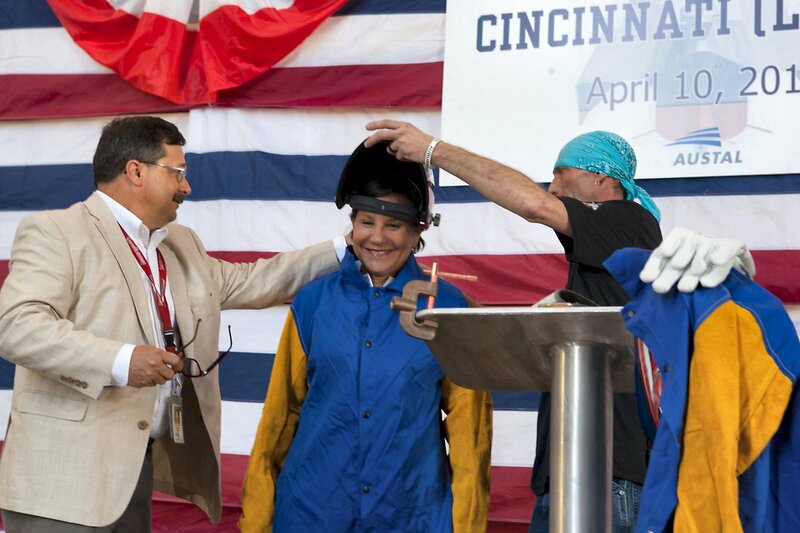 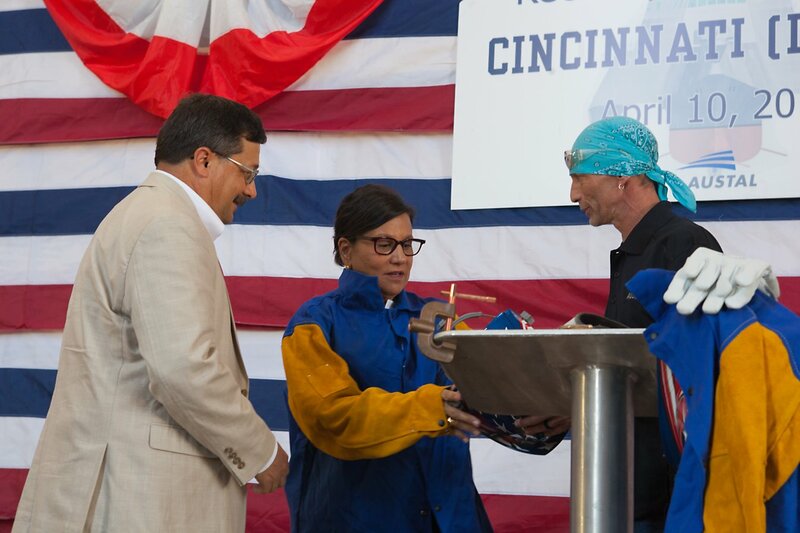 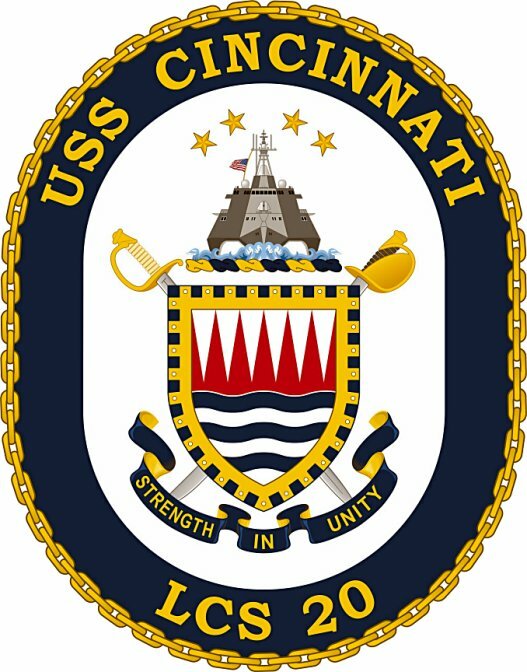 29 December 2010: Contract Awarded to General Dynamics Corp.
"Cincinnati, The Ship" - "Cincinnati, The People"
160k 19 July 2015: Cincinnati, Oh. 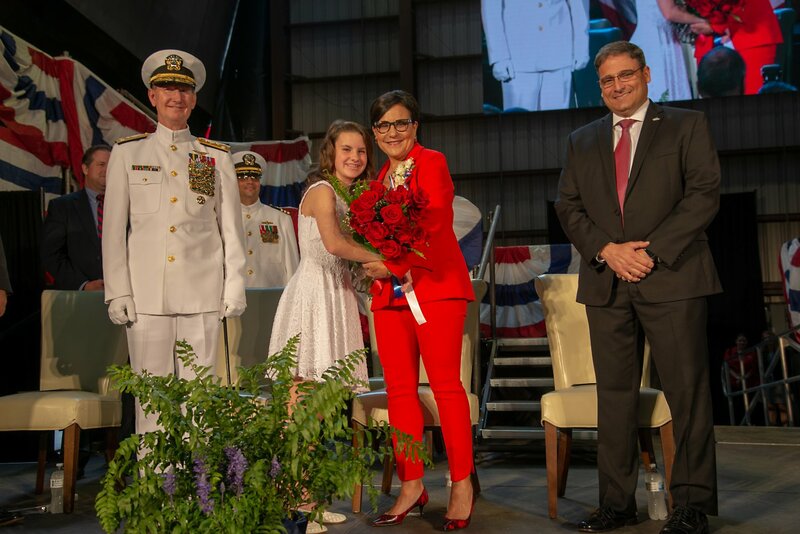 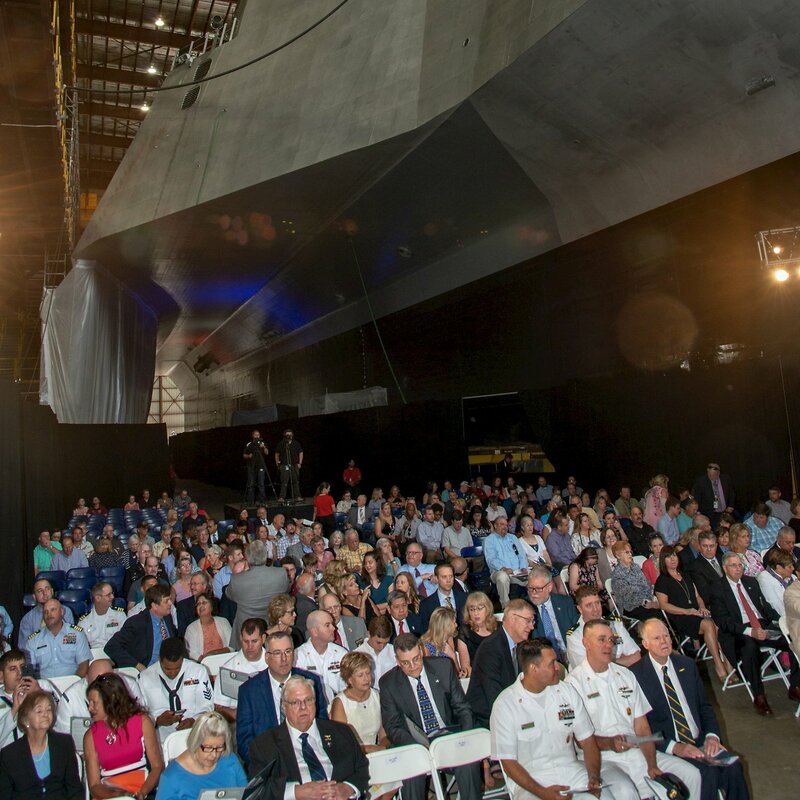 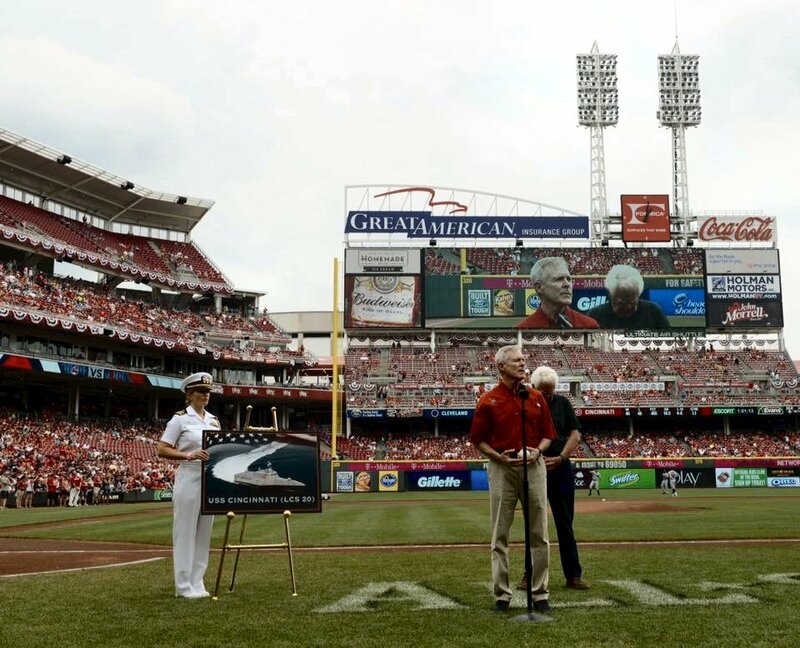 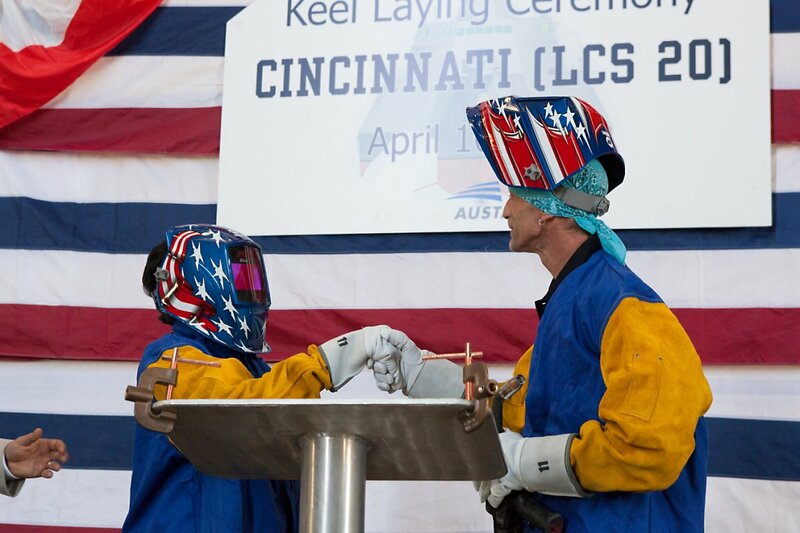 - Secretary of the Navy Ray Mabus announces Littoral Combat Ship 20 will be named USS Cincinnati at the Cincinnati Reds baseball game. 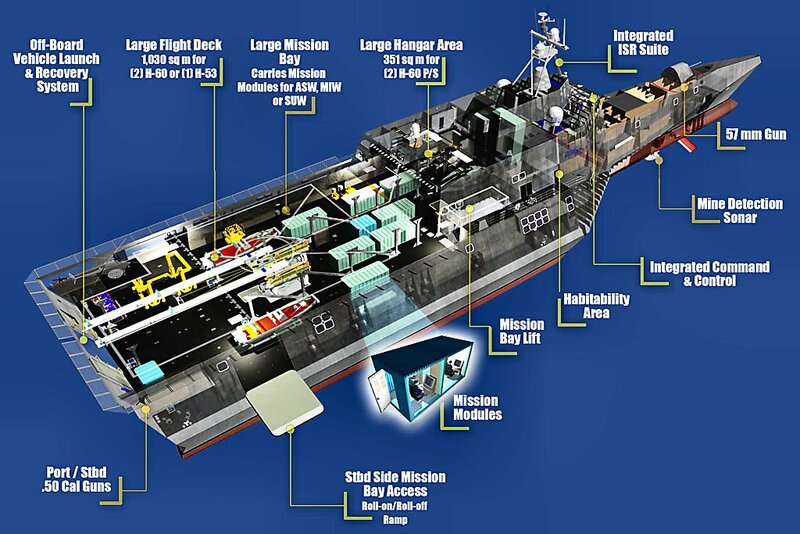 ship's components and the ceremonial beginning of the ship." 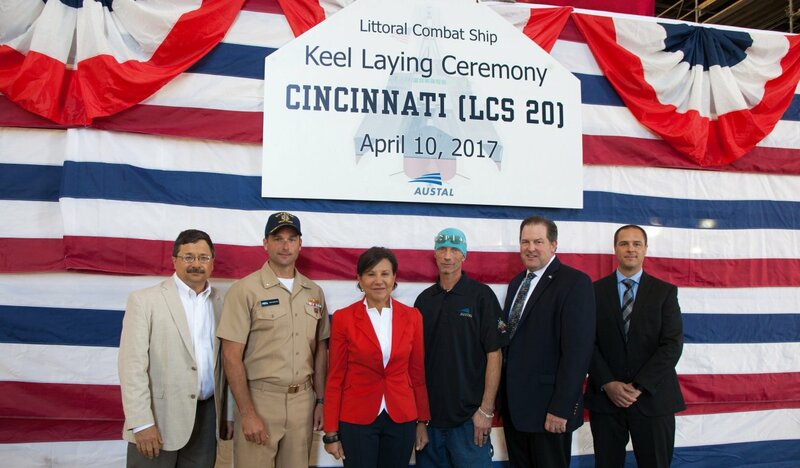 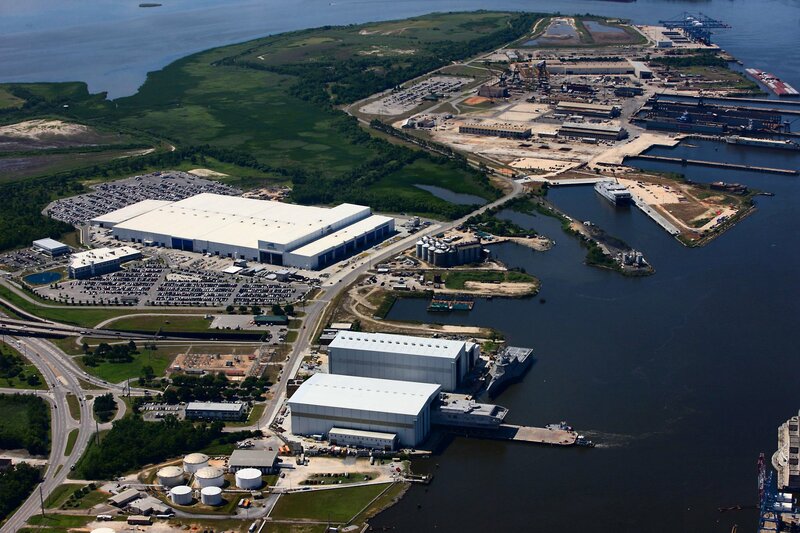 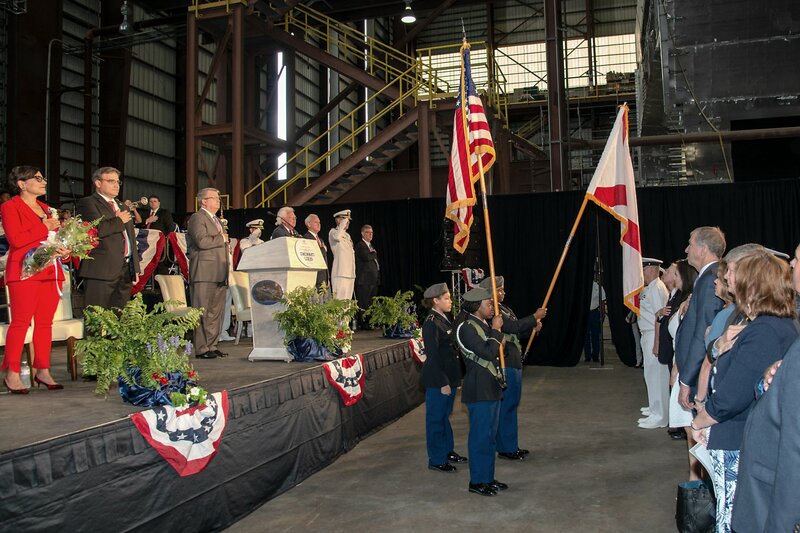 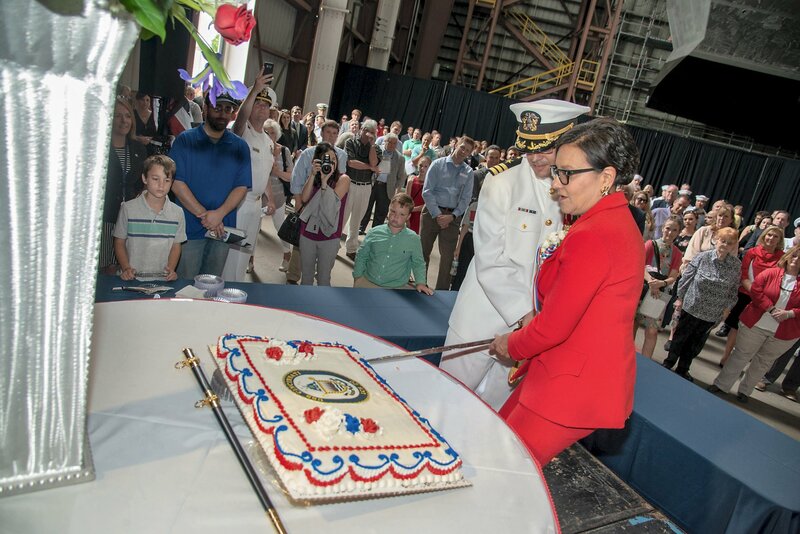 of the littoral combat ship class. 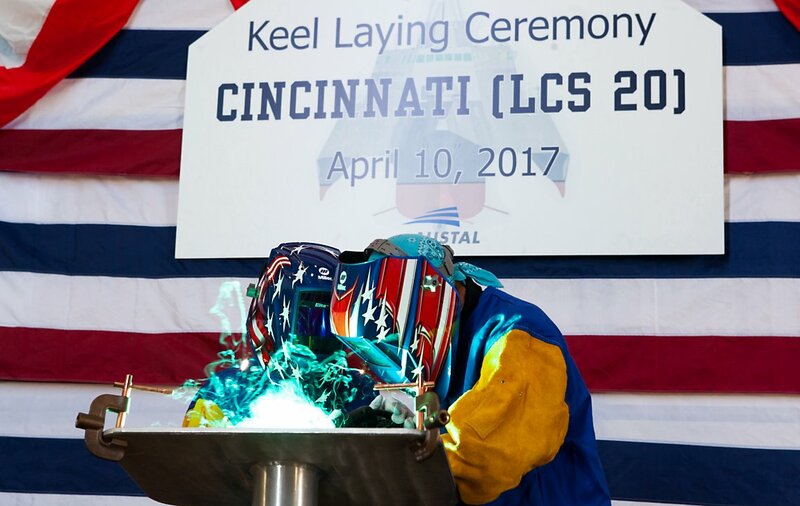 In a tradition carried over from seafaring's earliest days, the ship's sponsor breaks a bottle of sparkling wine across the ship's bow. 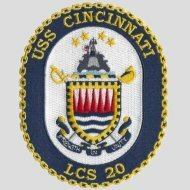 View the USS Cincinnati (LCS 20) DANFS history entry located on the Naval History and Heritage Command web site.